The Vancouver Public Library and Impressions Big Band are proud to present a concert of popular music featuring legendary vocalist Keith Bennett. With selections from artists such as Stevie Wonder, Earth Wind & Fire, Dooble Brothers, Chicago, Toots Thielmans and more, it’s sure to be a unique and delightful event to kick off March. Vancouver based veteran musician Keith Bennett performs and teaches worldwide. 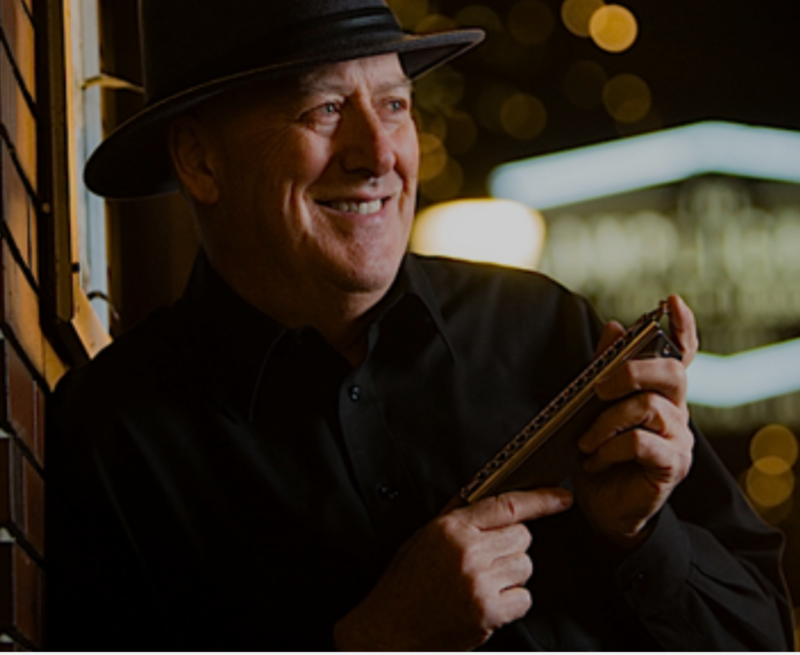 Best known for his mastery of the harmonica, he is also an accomplished guitarist and singer. Keith has performed with the Vancouver Symphony, belted out blues tunes at Vancouver Canucks games, and even played “Take the Long Way Home” at the Calgary Stampede with Roger Hodgson of Supertramp. You may have seen Keith in the Arts Club musical “Tapestry”, or as Elwood in local productions of the “Blues Brothers Revue”. Keith regularly performs the music of Stevie Wonder and Toots Thielemans with the Miles Black Trio, duo concerts with guitarist David Sinclair, and Christmas concerts with Van Django. As a studio musician, Keith has recorded tracks on hundreds of albums and soundtracks for film and television. Keith is also sponsored by harmonica maker Hohner Inc. Please join Keith and Impressions at the Vancouver Public Library for this special event. These concerts are popular, so come early!